A simple explanation of why non-sugary carbs act like sugars in our bodies. I just recently grasped this concept, thanks to a biology class I'm taking. This is really interesting to me because in the popular consciousness there’s a definite distinction between the idea of limiting your sugar intake and limiting your carbohydrate intake. Not eating too much sugar is widely regarded as an obvious necessity for optimal health, while low carbohydrate diets are controversial. Sugar is considered a junk food, while carbs are considered diet staples. Now, I’m not saying we shouldn’t eat any of this stuff. Some amount of carbohydrate in your diet is absolutely essential. However, let’s not forget that our body is breaking down those big molecules into sugar, and the quicker it can do that the worse it is for you. 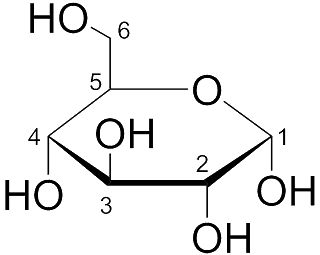 If eating table sugar causes a massive spike in blood sugar, then eating a slightly more complicated molecule, like the ones found in refined carbohydrates, will only be marginally slower in digesting and producing a blood sugar response. So many of the carbs that people even consider health foods fall into this category (I’m looking at you whole grains!) Having a latte and a scone for breakfast? That’s glucose and or fructose in the sweetener, lactose in the milk (if you can digest it at all) and simple carbs in the scone. All I see there is that you’re having sugar, mixed with sugar to go with your sugar. SUGAR! And now for a rant on potatoes. Potatoes are made up of almost entirely of a carbohydrate called starch. Starch is the energy storage molecule for plants, meaning that when photosynthesis is taking place, the plant is using the suns energy to produce glucose, and if it reaches a point where it has more glucose than it needs for its immediate energy requirements it will begin to take those extra glucose molecules and bind them together to form starch, which will then be kept for a rainy day. Potatoes are very good at this, and when the plant starts producing starch it sends it down to its roots for safekeeping. Over time the potatoes get big and then an enterprising human comes along and takes the energy-rich payload for their own purposes. Now, animals have their own versions of these energy storage processes, and we even have our own version of starch. It’s called glycogen. 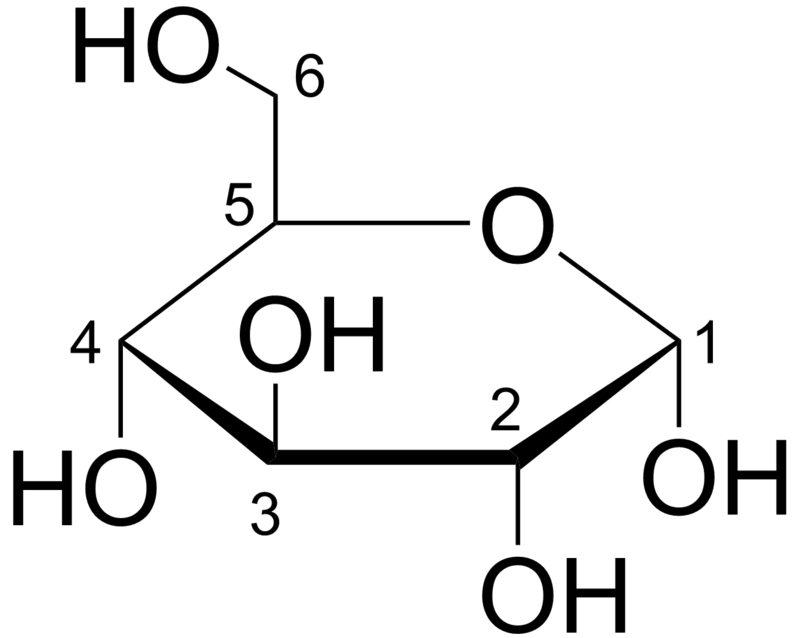 A schematic showing the structure of glycogen being composed of several glucose molecules. Glycogen is a molecule that we build up and store in our bodies for use whenever we run out of the immediate energy that comes from carbs. In order for us to be the robust, stable, working and living beings that we are, we need to have enough energy on hand in order to do whatever it is we need to do. If we didn’t have glycogen and could only use immediately available glucose for energy you might find yourself needing to run from a lion and passing out cold after a few, high-energy steps. Glycogen burning turns on when you go to a state that requires higher energy, like running or lifting or really anything physical. Glycogen is essential and we need to eat some carbs in order to replenish those stores. However, if you eat tons of carbs every day and don’t move your body enough, your glycogen stores will never be depleted; instead, your body will turn on the mechanism for long-term energy storage (the accumulation of body fat). From an evolutionary perspective you wanted to get as much energy into your body as possible so that it could be stored as fat to be used later during a time of scarcity, however, in order to survive every day you need to have energy on hand to fight for your life, gather food, or hunt so we have carbs and glycogen stores to take care of that. What we want is fat production because that gives us a long term level of security, but the immediate needs take precedent. Now fast forward to the modern day where we have a huge abundance of carbohydrates available to us all the time, and a low level of outside pressure to move our bodies, fight lions or work hard to gather our own food. Our ancestors were playing out a careful, risky game of trying to get more energy from the foods they ate than it took to procure those foods, but we have lowered the requirements of survival so much that the average person almost never has to move. Because of this process, I try to eat a limited amount of simple carbs and a whole bunch of the more complex carbs like those in green vegetables. I eat more carbs on days I work out. This helps replenish my glycogen stores after a day of activity, and gives my body the energy I need to perform well. If you have issues with weight regulation, limiting simple carb intake will help: the lower your "sugar" intake, the less excess energy your body has lying around, the less likely you are to overload your glycogen stores and go into fat accumulation mode. This is not a Paleo principle, nor any specialized diet principle. This is not about gluten-free mania, fasting, high fat intake, Crossfit, or any of the other stuff I've talked about on this blog. It's a fundamental principle of molecular biology. Just understand the effects of the macronutrients and it makes sense! I am happy to give up a lot of sugars as long as I can always enjoy carbs :D Ok fine I'm just trading one form for another, but as you point out, it's a matter of focusing on what kind of carbs. Thanks for pointing out this molecular trail! I love this post. As a long distance runner this is always on my mind.. the balance between the necessary amount of sugars/carbs and having too much!